What About the Similarity Between Human and Chimp DNA? 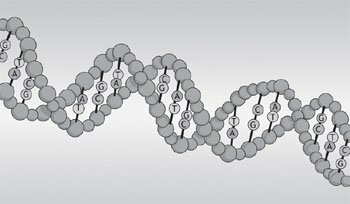 DNA similarity could easily be explained as a result of a common Creator. The first thing I want to do is clear up a common misconception—especially among many within the Church. Many falsely believe that in an evolutionary worldview humans evolved from chimpanzees. And so they ask, “If humans came from chimps, then why are there still chimps?” However, this is not a good question to ask because an evolutionary worldview does not teach this. 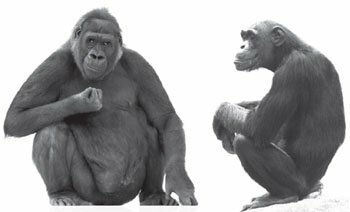 The evolutionists commonly teach that humans and chimpanzees are both basically “cousins” and have a common ancestor in our past. If you go back far enough, all life likely has a single common ancestor in the evolutionary view. This, of course, does not mesh with Genesis 1–2. Evolutionists frequently assert that the similarity in DNA sequences provides evidence that all organisms (especially humans and chimps) are descended from a common ancestor. However, DNA similarity could just as easily be explained as the result of a common Creator. Human designers frequently reuse the same elements and features, albeit with modifications. Since all living things share the same world, it should be expected that there would be similarities in DNA as the organisms would have similar needs. Indeed, it would be quite surprising if every living thing had completely different sequences for each protein—especially ones that carried out the same function. Organisms that have highly similar functionality and physiological needs would be expected to have a degree of DNA similarity. Figure 1. The double-stranded DNA molecule forms with an A opposite a T and a G opposite a C. This sequence determines the structure of proteins. Every living cell contains DNA (deoxyribonucleic acid), which provides the hereditary instructions for living things to survive, grow, and reproduce. The DNA is comprised of chemicals called bases, which are paired and put together in double-stranded chains. There are four different bases, which are represented by the letters A, T, C, and G. Because A is always paired with T and C is always paired with G, one strand of DNA can serve as a template for producing the other strand. The DNA is transcribed into a single chain of nucleotides called RNA (ribonucleic acid), which is then translated into the amino acid sequence of a protein. In this way, the sequence of bases in DNA determines the sequence of amino acids in a protein which in turn determines the protein structure and function. In the human genome (total genetic information in the nucleus of the cell), there are roughly three billion base pairs of DNA with about 20,000 genes (regions that code for proteins). Surprisingly, only about 1 percent of the DNA actually codes for proteins. The rest is non-coding DNA. Some of this DNA comprises control areas—segments of DNA responsible for turning genes on and off, controlling the amount and timing of protein production. There are also portions of DNA that play structural roles. Still other regions of DNA have as yet unknown functions. What Is the Real Percent Similarity between Humans and Chimpanzees? Because of this similarity, evolutionists have viewed the chimpanzee as “our closest living relative.” Most early comparative studies were carried out only on genes (such as the sequence of the cytochrome c protein), which constituted only a very tiny fraction of the roughly three billion DNA base pairs that comprise our genetic blueprint. Although the full human genome sequence has been available since 2001, the whole chimpanzee genome has not. Thus, much of the previous work was based on only a fraction of the total DNA. 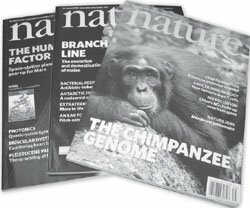 Figure 4: The journal Nature often trumpets the common ancestry of humans and chimps. So what is this great and overwhelming “proof” of chimp-human common ancestry? Researchers found 96 percent genetic similarity and a difference between us of 4 percent. This is a very strange kind of proof because it is actually double the percent difference that evolutionists have claimed for years!5 Even so, no matter what the actual percent difference turned out to be, whether 2, 4, or 10 percent, they still would have claimed that Darwin was right to support their worldview. Further, the use of percentages obscures the magnitude of the differences. For example, 1.23 percent of the differences are single base pair substitutions (figure 5).6 This doesn’t sound like much until you realize that it represents about 35 million differences! But that is only the beginning. There are 40–45 million bases present in humans that are missing from chimps and about the same number present in chimps that are absent from man. These extra DNA nucleotides are called “insertions” or “deletions” because they are thought to have been added to or lost from the original sequence. (Substitutions and insertions are compared in figure 5.) This puts the total number of DNA differences at about 125 million. However, since the insertions can be more than one nucleotide long, there are about 40 million total separate mutation events that would separate the two species in the evolutionary view. Figure 5: Comparison between a base substitution and an insertion/deletion. Two DNA sequences can be compared. If there is a difference in the nucleotides (e.g., an A instead of a G) at a given position, this is a substitution. In contrast, if there is a nucleotide base that is missing it is considered an insertion/deletion. It is assumed that a nucleotide has been inserted into one of the sequences or one has been deleted from the other. It is often too difficult to determine whether the difference is a result of an insertion or a deletion and thus it is called an “indel.” Indels can be of virtually any length. To put this number into perspective, a typical 8½ x 11-inch page of text might have 4,000 letters and spaces. It would take 10,000 such pages full of text to equal 40 million letters! So the difference between humans and chimpanzees includes about 35 million DNA bases that are different, about 45 million in the human that are absent from the chimp, and about 45 million in the chimp that are absent from the human. While 18 pairs of chromosomes are virtually identical, chromosomes 4, 9, and 12 show evidence of being “remodeled.”10 In other words, the genes and markers on these chromosomes are not in the same order in the human and chimpanzee. Instead of being “remodeled,” as the evolutionists suggest, these could also be intrinsic differences as each was a separate creation. Thus, the percentage of matching DNA is only one measure of how similar two organisms are, and not really a good one at that. There are other factors besides DNA sequence that determine an organism’s phenotype (how traits are physically expressed). Indeed, even though identical twins have the same DNA sequence, as they grow older, twins show differences in protein expression.13 Therefore, there must be some interaction between the genes and the environment. These results are certainly not what one would expect according to standard evolutionary theory. Chimpanzees and humans are supposed to share a more recent common ancestor with each other than either have with the gorilla. Trying to account for the unexpected distribution of common markers that would otherwise conflict with evolutionary predictions, the authors of this study made the bizarre suggestion: Perhaps chimpanzees and humans split off from a common ancestor, but later descendants of each reproduced to form chimp-human hybrids. Such an “explanation” appears to be an attempt to rescue the concept of chimp-human common ancestry rather than to provide the data to confirm this hypothesis. Many genetic defects are the result of a single change in an amino acid. A high degree of sequence similarity does not equate to proteins having exactly the same function or role. For example, the FOXP2 protein, which has been shown to be involved in language, has only 2 out of about 700 amino acids which are different between chimpanzees and humans.15 This means they are 99.7 percent identical. While this might seem like a trivial difference, consider exactly what those differences are. In the FOXP2 protein, humans have the amino acid asparagine instead of threonine at position 303 and then a serine that is in place of an asparagine at 325. Although apparently a minor alteration, the second change can make a significant difference in the way the protein functions and is regulated.16 Thus, a very high degree of sequence similarity can be irrelevant if the amino acid that is different plays a crucial role. Indeed, many genetic defects are the result of a single change in an amino acid. For example, sickle cell anemia results from a valine replacing glutamic acid in the hemoglobin protein. It does not matter that every other amino acid is exactly the same. Usually people think that differences in amino acid sequence only alter the three-dimensional shape of a protein. FOXP2 demonstrates how a difference in one amino acid can yield a protein that is regulated differently or has altered functions. Therefore, we should not be too quick to trivialize even very small differences in gene sequences. Further, slight differences in regions that don’t code for proteins can impact how protein levels are regulated. This alteration can change the amount of protein that is produced or when it is produced. In such cases, the high degree of similarity is meaningless because of the significant functional differences that result from altered protein levels. What about Similar “Junk DNA” in Human and Chimp DNA? Evolutionists have suggested that there are “plagiarized mistakes” between the human and chimpanzee genome and that these are best explained by a common ancestor. A teacher who found identical errors on two students’ papers would be rightly inclined to believe that the students cheated. The best explanation for two papers with an identical error is that they are both from the same original source. In the same way, some evolutionists have suggested that differences or deactivated genes shared by humans and chimps are best explained by common ancestry. They claim that the only alternative is a Creator who put the same error in two different organisms—a claim they would call incredible. The ERVs are not always consistent with evolutionary expectations. For example, scientists analyzed the complement component C4 genes (an aspect of the immune system) in a variety of primates.19 Both chimpanzees and gorillas had short C4 genes. The human gene was long because of an ERV. Interestingly, orangutans and green monkeys had the same ERV inserted at exactly the same point. This is especially significant because humans are supposed to have a more recent common ancestor with both chimpanzees and gorillas and only more distantly with orangutans. Yet the same ERV in exactly the same position would imply that humans and orangutans had the more recent common ancestor. Here is a good case where ERVs do not line up with the expected evolutionary progression. Nonetheless, they are still held up as evidence for common ancestry. What about the Alleged Fusion of Human Chromosome 2? Humans normally have 23 pairs of chromosomes while chimpanzees have 24. Evolutionary scientists believe that human chromosome 2 has been formed through the fusion of two small chromosomes in an ape-like ancestor in the human lineage instead of an intrinsic difference resulting from a separate creation. While this may account for the difference in chromosome number, a clear and practical mechanism for how a chromosomal abnormality becomes universal in such a large population is lacking. The fusion would have occurred once in a single individual. Every single human being on earth would have to be a descendant of that one individual. Because there is no selective advantage to a fused chromosome, this becomes even more difficult for evolutionists to explain since natural selection would not be a factor. If humans and chimpanzees share a common ancestor, then there will be evidence of chromosome fusion. There is evidence of chromosome fusion. Therefore, humans and chimpanzees share a common ancestor. In other words, there is no extra evidence for humans having an ancestor in common with chimpanzees provided by the fusion of chromosome 2. It is no more compelling than it would be if humans and chimpanzees had the same number—48. One could even argue that common ancestry with chimpanzees is less compelling because of the alleged fusion on chromosome 2. The similarity between human and chimpanzee DNA is really in the eye of the beholder. If you look for similarities, you can find them. But if you look for differences, you can find those as well. There are significant differences between the human and chimpanzee genomes that are not easily accounted for in an evolutionary scenario. Creationists expect both similarities and differences, and that is exactly what we find. The fact that many humans, chimps, and other creatures share genes should be no surprise to the Christian. The differences are significant. Many in the evolutionary world like to discuss the similarities while brushing the differences aside. Emphasis on percent DNA similarity misses the point because it ignores both the magnitude of the actual differences as well as the significance of the role that single amino acid changes can play. Please consider the implications of the worldviews that are in conflict regarding the origin of mankind. The Bible teaches that man was uniquely formed and made in the image of God (Genesis 1 and 2). The Lord directly fashioned the first man Adam from dust and the first woman Eve from Adam’s side. He was intimately involved from the beginning and is still intimately involved. Keep in mind that the Lord Jesus Christ stepped into history to become a man—not a chimp—and now offers the free gift of salvation to those who receive Him. Previous Chapter Do Fossils Show Signs of Rapid Burial? Next Chapter Was There Death Before Adam Sinned? 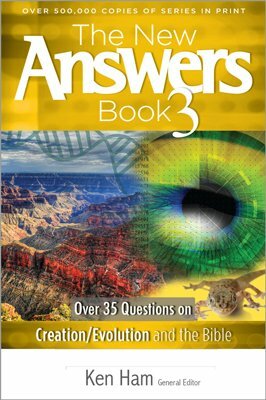 Do you have answers to the big questions about the Christian faith, evolution, creation, and the biblical worldview? 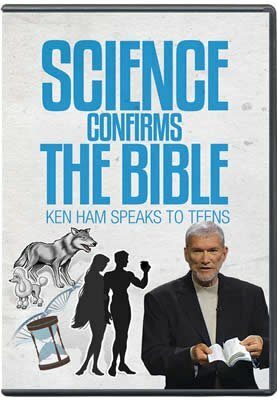 Now you get the important information you need regarding the existence of God, global warming and climate change, cloning and stem cells, human and chimp DNA, the importance of Mount St. Helens, and more. For example, D.E. Wildman et al., “Implications of Natural Selection in Shaping 99.4% Nonsynonymous DNA Identity between Humans and Chimpanzees: Enlarging Genus Homo,” Proc. Natl. Acad. Sci. 100 no. 12 (2003): 7181–7188. The Chimpanzee Sequencing and Analysis Consortium 2005, “Initial Sequence of the Chimpanzee Genome and Comparison with the Human Genome,” Nature 437 (2005): 69–87. Alan Boyle, “Chimp Genetic Code Opens Human Frontiers,” MSNBC, www.msnbc.msn.com/id/9136200. The Medical News, “Charles Darwin Was Right and Chimp Gene Map Proves It,” www.news-medical.net/news/2005/08/31/12840.aspx. Studies of chimp-human similarity have typically ignored insertions and deletions although these account for most of the differences. A study by Roy Britten included these insertions and deletions and obtained a figure that is close to the 4 percent reported for the full sequence. See Roy J. Britten, “Divergence Between Samples of Chimpanzee and Human DNA Sequence Is 5% Counting Indels,” Proc. Nat. Acad. Sci. 99 no. 21 (2002): 13633–13635. Individuals within a population are variable and some chimps will have more or fewer nucleotide differences with humans. This variation accounts for a portion of the differences. 1.06 percent are believed to be fixed differences. Fixed differences represent those that are universal. In other words, all chimpanzees have a given nucleotide and all humans have a different one at the same position. Walter J. ReMine, “Cost Theory and the Cost of Substitution—A Clarification,” TJ 19 no. 1 (2005): 113–125. Note also: This problem is exacerbated because most of the differences between the two organisms are likely due to neutral or random genetic drift. That refers to change in which natural selection is not operating. Without a selective advantage, it is difficult to explain how this huge number of mutations could become fixed in both populations. Instead, many of these may actually be intrinsic sequence differences present from the beginning of creation. Discussed in D.A. DeWitt, “Greater than 98% Chimp/Human DNA Similarity? Not Any More,” TJ 17 no. 1 (2003): 8–10. S. Kakuo, K. Asaoka, and T. Ide, “Human Is a Unique Species Among Primates in Terms of Telomere Length,” Biochem. Biophys. Res. Commun. 263 (1999): 308–314. Ann Gibbons, “Which of Our Genes Make Us Human?” Science 281 (1998): 1432–1434. Y. Gilad et al., “Expression Profiling in Primates Reveals a Rapid Evolution of Human Transcription Factors,” Nature 440 (2006): 242–245. J.P. Demuth et al., “The Evolution of Mammalian Gene Families,” PLoS ONE 1 no. 1 (2006): e85, www.plosone.org/article/info:doi%2F10.1371%2Fjournal.pone.0000085. M.F. Fraga et al., “Epigenetic Differences Arise During the Lifetime of Monozygotic Twins,” Proc. Natl. Acad. Sci. 102 no. 30 (2005): 10,604–10,609. N. Patterson et al., “Genetic Evidence for Complex Speciation of Humans and Chimpanzees,” Nature 441 (2006): 315–321. W. Enard et al., “Molecular Evolution of FOXP2, a Gene Involved in Speech and Language,” Nature 418 (2002): 869–872. This difference in amino acid sequence opens up a potential phosphorylation site for protein kinase C. Phosphorylation is a major mechanism for regulating the activity of enzymes as well as transcription factors. Y. Inai, Y. Ohta, and M. Nishikimi, “The Whole Structure of the Human Nonfunctional L-Gulono-Gamma-Lactone Oxidase Gene—the Gene Responsible for Scurvy—and the Evolution of Repetitive Sequences Theron,” J Nutr Sci Vitimol 49 (2003): 315–319. Humans have many more short interspersed elements (SINEs) than chimps, but chimps have two novel families of retroviral elements, which are absent from man. Comparing endogenous “retroviral elements” yielded 73 human-specific insertions and 45 chimpanzee-specific insertions. Humans have two SINE (Alu) families that the chimpanzees lack and humans have significantly more copies (approximately 7,000 human-specific copies versus approx. 2,300 chimpanzee-specific ones). There are also approximately 2,000 lineage specific L1 elements. All of these lineage specific changes would be required to take place sometime between the last chimp/human common ancestor and the most recent common ancestor for all people on the planet. Importantly, these are modifications for which there is no known selective advantage. A.W. Dangel et al., “Complement Component C4 Gene Intron 9 Has a Phylogenetic Marker for Primates: Long Terminal Repeats of the Endogenous Retrovirus ERV-K(C4) Are a Molecular Clock of Evolution,” Immunogenetics 42 no. 1 (1995): 41–52. Georgia Purdom, “Human Endogenous Retroviruses (HERVs)—Evolutionary “Junk” or God’s Tools?” www.answersingenesis.org/docs2006/1219herv.asp. K.A. Dunlap et al., “Endogneous Retroviruses Regulate Periimplantation Placental Growth and Differentiation,” Proc. Nat. Acad. Sci. 103 no. 29 (2006): 14,390–14,395. There is debate among creationists as to whether the evidence for a chromosome 2 fusion event in humans is compelling. Some believe it is an intrinsic difference; others are open to it occurring early in human history, perhaps shortly before Noah. In both cases, evidence linking humans to chimpanzees based on chromosome fusion is lacking.